A few weeks ago I wrote an article about the 3 food storage companies that I purchase from the most and sent it to my newsletter subscribers. Since then, I’ve received numerous questions about my selections and the best food storage company to use, so I wanted to address those here on the blog. Thrive Life* has an outstanding, user-friendly website, and a huge array of mostly freeze-dried foods that can be incorporated in thousands of recipes. This is my recommended form of food storage. Just-add-water meals, not so much, although I do have some of those as well for urgent emergencies. Thrive Life offers the opportunity to earn money and have foods auto-shipped, which helps stay on track with food storage goals. In short, they have some unique features similar companies do not offer. I’ve been a Thrive Life consultant for 6 years and most of my own food storage comes from this company. Ready Reserve Foods* is a smaller, family-owned company in southern Idaho who sells mostly dehydrated, not freeze dried, fruits and vegetables, as well as many other food and survival products. They are one of the very few companies in the country who use nitrogen to package their food, which is far superior to the use of an oxygen absorber. They carry peanut butter powder and parboiled rice, which I love and have plenty of in my pantry. Their products are also competitively priced. I’ve visited their facilities and they have worked with me on and off over the years. Augason Farms has been a long-time sponsor of my blog over the years, but that isn’t why I selected them. Although many other companies carry similar products, Augason Farms foods can be found in stores across the country, like Sam’s Club, Winco, and Walmart. This is important because it makes “survival food” available to everyone who may not be able to order online. Their food is consistently average to good, their website immense with both products and information. The Best Food Storage Company? None of these companies are inferior, they just don’t rise to the top in the various categories that I specified — best website, dehydrated food options and nitrogen packing, and products readily available without having to place a mail order. For a year or so I taught classes at the Honeyville Farms retail store in Phoenix and bought quite a few food items each time. One thing I noticed was that the food purchased in the store was very nicely priced but the price increased dramatically online. They advertise their low shipping cost, but obviously, the price of shipping has to be made up elsewhere, thus the increase in their online prices. This made it difficult for me to determine which of their products were priced well and which might be more expensive than other brands, whose shipping charges were higher. Currently, a 50-pound bag of hard white wheat costs $19.99 at a Honeyville Farms store, but it’s $43.99 online. That’s quite a difference and is typical with all their food products. The $4.99 shipping charge becomes meaningless, and it also makes it very difficult to truly compare Honeyville cost and value with other companies. TIP: Learn about wheat before buying it in quantities! Walton Feed was the very first food storage company I encountered, and the ordering process, at least back then, was quite confusing and complicated to a newbie. Their products are good quality, we are still using the cocoa powder I bought years ago, and I have no complaints. If you want to take a look at their products and pricing, it’s best to place a huge order with other people, if possible, in order to save on shipping. When I did this, an 18-wheeler delivered the order to my friend’s house (she was the coordinator), and she divided up the orders for each person. All that food is surprisingly similar. Here’s why. One factor many don’t realize is that all this food, whether it be wheat, strawberries, corn, and everything else comes from only so many farms! Just as food processing plants package food and then place different labels on them for different brands, these farms and packing plants do the same thing. So wheat purchased from Emergency Essentials just might come from the exact same farm as Augason Farms wheat, or vice versa. There are very few plants that freeze-dry produce, so it’s just logical that the food itself is the same from one company to the next, and only the label and, likely, the packaging process,is different. Exactly where the food comes from is highly confidential, and you will probably only find out the country from which it originated. When I spoke with Ready Reserve Foods about their parboiled rice, I was informed that it was grown on a farm in Idaho, not too far from their offices. That was nice to hear! Locally grown food, whose practices can be monitored, is always best. Before making a large purchase of this food, even if you’re in a huge panic and think that time is running out, please don’t buy anything you aren’t familiar with and may not actually use. I have about a dozen cans of germade. It’s wheat germ, something my kids have never had and of which I only have distant memories. One of these days I’ll crack open a can and serve it to them. If they like it, great! If not, I’ll be looking on Pinterest for other recipes that call for germade! 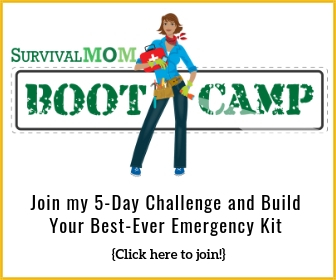 TIP: Read my Quick Start Guide to getting prepared if you’re panicking, and even if you’re not! One mistake I’ve made is to buy far more wheat and less rice, which in many ways is more versatile. It’s also advantageous for families dealing with gluten issues. On the upside, I have loads of wheat to barter with, and now I’ve started to look for 50-pound bags of rice that I can repackage. TIP: If you buy food in large quantities, you’ll probably have to repackage it for the longest shelf life. Whichever companies you choose, start with buying small quantities. Thrive Life sells small, #2.5 size cans, as well as pouches of their foods. This is a very, very good way to check the quality, taste, and versatility of a food. One reader asked me if I ever actually ate this food! Right now in my kitchen, I have opened cans of freeze dried blueberries (used them in a baked oatmeal this morning), freeze dried strawberries (we use them in smoothies), freeze-dried cheese (ran out of fresh cheddar one day…), oats, parboiled rice, cocoa powder, bell pepper slices, and instant milk. Although most of my food is specifically for long-term storage, it’s pretty common around here that we have to track down an ingredient that I need. Freeze dried sausage crumbles. These are amazing and such a great way to have sausage for pasta meals and pizza. Learn more about using sausage crumbles here. Instant milk. Good to have on hand when we don’t have any fresh. Freeze dried bell peppers. Fresh from the store can be pretty expensive, and this is a good way to have peppers when I need them. Whichever company you purchase from, try to compare prices and quantities. Also pay attention to serving sizes, especially when buying just-add-water meals. Those can be deceiving and are a topic for a separate article! Food Saver Vacuum Sealer – this removes oxygen, which will extend the shelf life of your food. *This link will take you to my personal Thrive Life website. The lowest prices from this company are reserved for customers purchasing through a consultant. Whether you make your Thrive Life purchase through my website or not, be sure to order through a consultant rather than on the main Thrive Life website where prices will be higher. *Ready Reserve now has new owners whom I have not met. Thrive is my favorite by far, mainly because the vast majority of their freeze-dried foods do not have MSG nor trans-fats. The others do. I will not pollute my body with those health-killing additives. I use Mountain House it is the only one you can find in local stores. I like it. Trying to find one that does organic. Be sure to taste test them first. I had pretty mixed results with their foods — some were okay, some were not good at all. Most of the Thrive food to my knowledge is organic but not certified We have about 6 – 12 products that are organics that are certified. Check out the product descriptions and they will tell all about each one. Right now we have amaranth, quinoa, hard white wheat, spelt, raspberries, and peas that are certified. Let me know if you would like to order something. Agree with your article except not ALL companies use the same sources. I know for a fact that Thrive Life doesn’t repackage their foods with their own label. They have their own growers and work very closely with them to ensure the highest quality possible. Yes, I am also a consultant for them. But I have compared their foods with other brands and there is no question they are superior. I would never buy from anyone else, even if I wasn’t a consultant. Not sure if it was mentioned but my Chinese friend goes to the local Asian market and gets like 100 lbs of rice at a time. The cost savings between a western store and an Asian market can be huge. Just an fyi. Our family only eats organics and vegetarian so I end up buying a lot of bulk organic foods and using mylar bags, 5 gallon buckets and oxygen absorbers to store things myself. But I love the idea of storing food that you just add water to, that will make a tasty ready to eat meal. I ordered a large sample pack and I am loving it. It is really tasty and easy to make. I found a website that has these products really cheap in bulk so I can store them in my buckets with the mylar and oxygen absorbers, but here is where I need an experts help. If these foods have spices in them and things like raisins in them are they going to last 20 to 30 years (even if I store them correctly)? I want to rotate and eat some of our food storage, but I want some that is just stored that I don’t mess with. But my worst nightmare is opening food in an emergency years down the road only to find out that it is rotten. 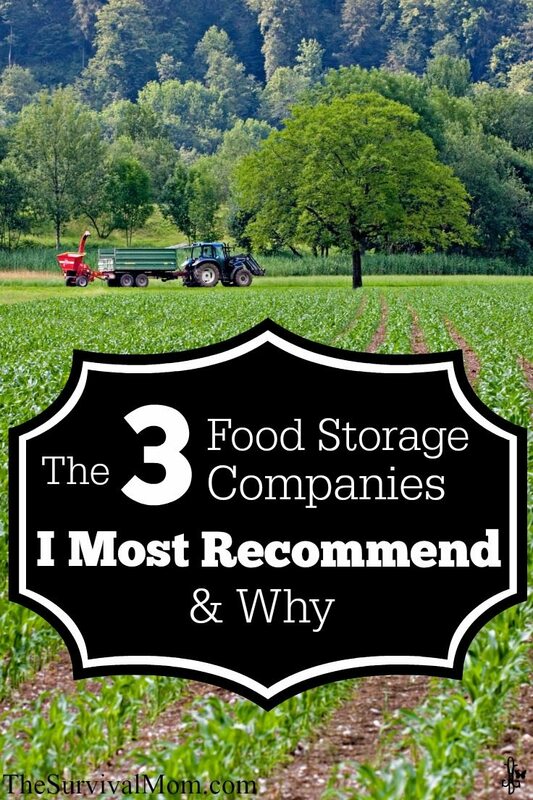 You are my favorite food storage expert so I am hoping to get your opinion. Best thing about Thrive is you can setup a monthly delivery and just change what you want shipped to you without having to drive to town to get it. I have a few things from other sources but my main stock is Augason Farms. I can order it from Amazon or Walmart.com, (both offer free shipping) the quality and selection is good, and it seems to be less expensive than most others…. which is important if you are trying to be prepared on the cheap. Much of the stuff is cheap enough to use in everyday meals. Nothing for or against, Legacy, Wayne. I much prefer individual ingredients to the just-add-water meals, which is what Legacy sells. Those meals are okay for emergencies but long-term, ingredients are much, much better for stocking up. Quite a few of us have had much experience over the years with the “basic four” and subsequent more varied storage-for-putting-together-meals-from-ingredients approach. Unfortunately, it really becomes a bother and a drag after awhile. Storage, for many, is specifically for emergencies anyway, so what is wrong with just-add-water stuff? Besides, in an emergency, not having to fool around with extensive meal preparation would reduce stress. So of the just-add-water producers, who has good serving sizes, adequate calories, and decent nutritional coverage? Why not have both. Most people don’t prepare food from scratch at home everyday they use some mixes and some just add water items plus ingredients that they can be inventive with. I am biased towards Augason Farms, but they offer both and have a good selection of Grab and Go kits and #10 Cans that are just add water. Also keep in mind that one of the challenges in an emergency is stress management and for many people preparing a meal is just that a form of distraction, relaxation or even a stress reducer. I just read an article about Bill Gates and Jeff Bezos, both of them wash the dishes each day at there home. It is a time of relaxation and a way for them to clear there thoughts by doing a mundane task. I’m a dyed-in-the-wool Emergency Essentials fan. I discovered them some years back, and like my favorite grocery store, I’m not interested in changing. Like you, I prefer ingredients over pre-made meals. Whatever supplier someone chooses, I recommend that new buyers opt for the smaller cans that most of them sell now. Like was said in the article, it’s terrible when you wind up with massive cans of something that you’re not sure you’ll ever use. The smaller cans cost more per ounce, but if you hate it, you haven’t lost much. * Mountain House is made by Oregon Freeze Dry, and AlpineAire is made by Katadyn (the water filter folks). MH is fully cooked before freeze drying, while AA is a mixture of predominantly dehydrated ingredients with some freeze dried ingredients included. Two different companies with two different processes, and some would say two different levels of results. Thanks for your blog and your work in helping people to prepare! Thanks for taking the time to leave these comments! My information about the relationship between Mountain House and Alpine Aire was from a couple of individuals who owned a food storage company, and I will have to tell them it’s incorrect! I wanted to respond to your comment about nitrogen flushing. From my conversations with food storage company owners and my own research, removing oxygen and then replacing it with nitrogen is highly effective. Yes, I was just going to mention maryjanesfarm! I bought a few packets of their ready made meals, and found them to be really good, but the key for me is ORGANIC with NO toxic ingredients like MSG, soy, TSP, HFCS, or a list of hundreds of other ingredients that are NOT healthy and are found in almost EVERY other food storage company, including those mentioned here. After Reading everybody’s comments I’m really confused on what kind of food storage to buy. I have never tasted these types of foods before, and don’t know the first thing on how you are to prepare the food. So how do I know what to buy and from whom should I buy From, should I try smalls amounts of food from different companies? I don’t know how to get started, can you help me with more info? Thank You! Marsha, I recommend starting with any of the 3 companies that I discuss in this article. If you live near Sam’s Club or Winco, stop by and see what foods they have from Augason Farms. You won’t have to order those online, although Augason Farms has an extensive website with lots of products and monthly sales. If you don’t mind ordering online, also check out Thrive Life. Some of their products come in small pouches, which is perfect for sampling. Ready Reserve Foods are all dehydrated, packaged very plainly with no fancy frills. Their prices on some products might be better than the other two companies. As far as what foods to buy, try some vegetables and fruit first and choose the varieties that you and your family eat often. If you buy freeze dried corn, you can use it in soups, stews, chili in place of frozen or canned corn. If your family loves strawberries, you can use freeze dried strawberries in smoothies, desserts, on ice cream, etc. Always start with the foods you already use, so you can be assured that you aren’t wasting money. I do. Not buy the freeze dried meals. I catch my individual ingredients on sale. I started with things I KNEW we would eat. Fruit, peanut butter, rice, spices etc. I use them in my everyday cooking too. Then I expanded to meats and more expensive luxuries like deserts. Doing this and packaging items from the store in mylar …it doesn’t really take long before you have a decent pantry going. Our forefathers had pantry/ larders for lean times. It only seems smart to do. I’m not a fan of the just-add-water meals myself. You can easily make your own versions, if you want, by combining dry ingredients for specific recipes and storing them in canning jars or other airtight containers. Germade is Farina, or cream of wheat or Coco wheats. Whatever you grew up with. Your germade might not be exactly the same, but it’s close. One cup of water to 3 tablespoons germade zapped in the microwave or cooked on the stove. Stir frequently and don’t let it boil over. When it’s done, or thick, throw in a handful of chocolate chips and stir to melt. Dash of salt optional. Yum! It’s actually high in iron. Make it with milk instead of water if you want to eat it non chocolatey. I enjoyed reading your articles. I have used Thrive Life for a number of years, and have made many “almost” MREs with the products as well. I like the quality of their foods as well as their growing practices. Looking forward to more good info…. I’m confused about the Legacy foods comment concerning them not having single ingredient food. I also prefer single ingredient foods to cook with as opposed to the just-add-water meals, which is just one of the reasons I went with Legacy. ALL of what I bought from them are single-ingredient foods. They are also the least expensive per calorie, GMO free, have gluten-free options etc. They were also voted best-tasting on a number of reviews I read. 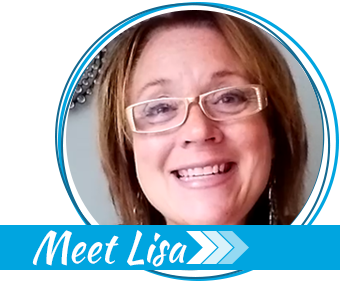 Elizabeth, the Legacy foods I was provided for a review a couple of years ago were the just-add-water meals and when I did my research, those were the only types of foods that came up. I dug a little deeper and found a few other bulk foods, but in comparison with the other companies, they really have a limited choice. I’m glad you are liking the Legacy brand and that it’s of good quality. We mill our own grains so I searched for the best prices on grains because they are expensive to ship due to buying in 40 lb buckets. I found that lds.org food storage store, has the best prices on Hard Red Wheat and Hard White Wheat, Oats and other foods and Free shipping in the continental United States. Emergency Essentials has the Soft White Wheat. The free shipping is a huge savings when you are buying cases of wheat. Actually, I just called them yesterday. I ordered from them a while back and the shipping was $3 per order regardless of the size of the order. No change. Still $3 for shipping. Small selection but a great place to start out preppin’. You mentioned dehydrated foods when you were talking about Ready Reserve. I always thought that freeze dried was superior. Are there advantages to dehydrated that I don’t know about? Commercially dehydrated foods are dried at low temperatures, which preserve most of their nutrients. Ultimately, both freeze dried and dehydrated contain the same percentage of nutrients. After you answered my question, I looked at Ready Reserve’s website and read their comparison of the two methods. Are there some foods you prefer dehydrated and others you prefer freeze dried? Thrive are good people. In one instance I bought among other things one of the blue stackable water squares and I left it in the shipping box in the storeroom for about 6 months or more. Finally I opened the box to do some organizing and found it had no cap screwed on, I called and explained what I found asking for a cap to be shipped to me and they sent a whole replacement square with a cap. This was above and beyond the call of duty, and for this reason I trust thier food, and beleive they are a honorable rightous people deserving of my patronage as a customer. Not an overwhelming story but it speaks volumes about them. I found your blog (and some more links to some freeze dried food companies I might be able to buy from in the comments section, so thanks ya’ll!). As for food storage foods, I eat the food as well as store it. 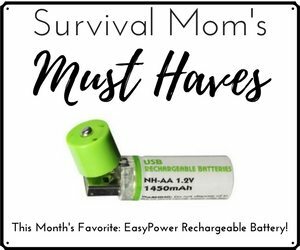 The fact is that, being homebound, sometimes those who go shopping for me run into difficulties with weather or sick kids or whatever, and having freeze dried food on hand (that is SUPER easy to make) comes in really handy. That said, the Mountain House Pasta Primavera is awesome (especially with the previously mentioned Choplets and some Thrive FD asparagus)! I haven’t tried any of the other companies mentioned in this post, but I will have to check them out some time. It’s pretty hard to find tasty vegetarian entrees with as little soy/beans as possible, preferably in easy-to-make packs like Mountain House uses. Nevertheless, special dietary needs have to be considered with food storage, and there simply is no one-stop shop for all your food storage needs if you aren’t 100% normal (and who is?). You have to order samples and try them and make sure you like them and will use them periodically. If you aren’t used to the food, imagine what eating it in a disaster would be like? That’s extra stress no one needs. Pamela, you need to be VERY careful in making blanket statements about “gluten-free” being a fad, etc. A person doesn’t have to have Celiac to be gluten intolerant. I’ve had 5 ft. of gut removed because of gluten, and my digestion will never be the same. For you to make such comments is the same as me doubting your soy problems and making fun of you because of it. I am now very confused. I was watching some videos online from Honeyville which says to use their product within 24-48 hours after opening if left on the counter or within 30 days if refrigerated. Otherwise they say you have to repackage either using a Foodsaver and jars or oxygen absorbers in jars,bags etc. I have been using Thrive dehydrated foods, including meats, for quite a while now and I thought Thrive said you had a year or two of shelf life after opening. Can you give me some clarity on this? I seriously don’t want to poison my family. I used to teach food storage classes at Honeyville and asked about that. Those instructions are true, and I’m not sure why they are different from other brands. I use Thrive Life almost exclusively now. Is the wheat Emergency Essentials uses non GMO? Harvested without glysophates (round-up)? 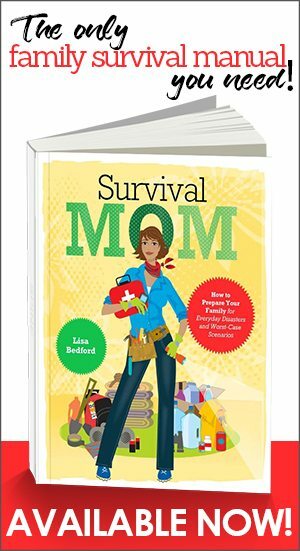 Thanks for finally talking about >The 3 Food Storage Companies I Recommend and Why – Important Update – Survival Mom <Loved it! How do you feel about Patriot Pantry? I’ve never purchased food from them.